Photo by Pin Lim at Forest Photography. 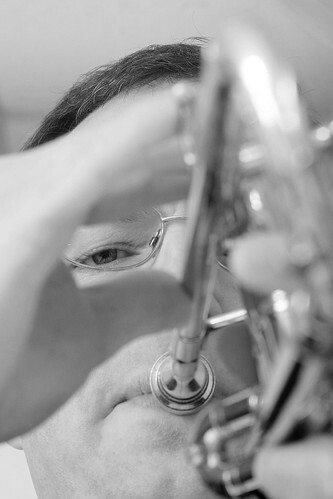 The traditional practice philosophy, especially for brass players, is that a minimum amount of practice is necessary to “maintain” the musician’s current skill level. Only the practice done, over and above that minimum amount, counts towards progress on the instrument. This is the traditional wisdom. It is possible to practice in a way that every minute of practice counts towards the musician’s progress. Five minutes of practice turns into five minutes of progress. Four hours of practice turns into four hours of progress. Eddie Lewis has been teaching The Art of Accumulative Practice for over ten years and it has changed the lives of students in a variety of different ways. The Art of Accumulative Practice liberates us and lets us live normal lives AND become great musicians at the same time. You can have your cake and eat it too. If you are looking for a someone to teach a clinic, workshop or masterclass on the practice techniques, please feel free to contact us by clicking HERE. We look forward to hearing from you and working with your students. Please note that what we refer to as a clinic, some teachers refer to as a masterclass or workshop. If you are looking for someone to teach a masterclass or workshop on Practice Techniques, it’s the same thing. Please feel free to contact us to setup an appointment. The All-State Jazz clinic specifically addresses the current year’s Texas All-State Jazz audition music. Mr. Lewis is a leading authority on the subject because not only is he an accomplished jazz musician himself, he has also written the audition materials every year since 2009 and actually served as a judge at both the region and state levels. The All-State Prep clinic is only available from February to late June, early July. In the All-State Prep clinic, Mr. Lewis teaches the students what they can do to prepare for the All-State auditions before the music is announced. It is limited to Spring and Summer because the music is announced in late July. The name of this clinic is also the name of Eddie Lewis’ first book. The Physical Trumpet Pyramid is the underlying concept that his Daily Routines and Chops Express books are built upon. In this clinic, Mr. Lewis will teach your students how to apply this extremely beneficial structure to their practice sessions. Trumpet players are always looking for a higher range and greater endurance. Mr. Lewis teaches that the two of these are byproducts of strength. In this clinic, he will teach the students the formula for strength development and how to implement it in their practice. While most of the workshops and clinics Eddie Lewis does are local to the Houston area, it is not uncommon for him to travel. If you are interested in hiring him for a workshop in a Texas city outside of Houston, please feel free to contact us. We will spend time with you to find way to make it work.